To maximise safety for guests, employees, and resort property, Thredbo prohibits the use of toboggans and other miscellaneous snow sliding equipment that is associated with “Snow Play” within our leasehold area. 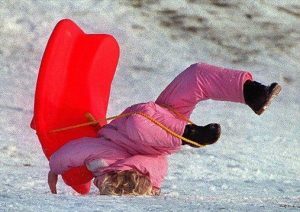 We acknowledge that tobogganing is a favourite winter pastime, however it also has inherent risk as there is limited ability to control the equipment being used. The safety of our guests and staff is our number one concern. This prohibition includes any area under the ownership or control of Thredbo. This policy applies to all members of the public, staff, sublessees and volunteers. No enquiries will be entertained from toboggan or miscellaneous snow sliding equipment users. All staff play a role in the implementation of this policy and subsequent elimination of these risks to our guests.